Independent election observers praised Sunday’s running of the nationwide commune elections as largely smooth and peaceful, even while noting a raft of problems, including unauthorized officials at polling sites, intimidated observers and soldiers being brought to vote at some polling stations by the truckload. Recounting one of the day’s most flagrant breaches, Koul Panha, director of the Committee for Free and Fair Elections in Cambodia, said 12 observers across two communes in Kandal province’s Loeuk Dek district were pressured into abandoning their duties by local authorities. Mr. Panha said the NGOs were still investigating the cases and that they had asked the government’s National Election Committee (NEC) to look into the claims as well. 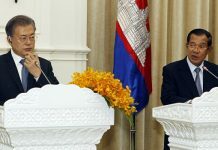 He said the NGOs were also aware of 19 communes across five provinces—including Kompong Speu, Preah Vihear and Siem Reap—where some polling stations saw mostly soldiers casting ballots, raising suspicions that those communes were being deliberately stacked with votes for the ruling CPP. 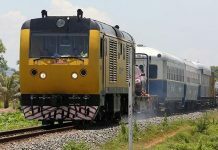 During the day, rights group Licadho posted reports from observers in Siem Reap who said they saw hundreds of off-duty soldiers being trucked to at least two different communes from outside of the area to cast votes. 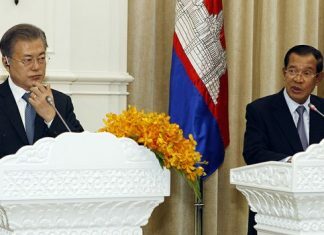 The two communes, Ta Siem and Boeng Mealea, both saw tight races in 2012. The first went to the opposition Sam Rainsy Party, the second to the CPP. During last year’s registration drive for the elections, the NEC conceded that soldiers had registered in some communes they should not have, but would not be removed because they might end up being assigned to those communes on Election Day to provide security. The opposition raised concerns at the time that the soldiers could be used to swing the communes the CPP’s way. At a news conference at the Situation Room, Moeun Tola, director of labor rights NGO Central, said local officials were also observed milling about polling sites during voting and ballot counting, in breach of election rules meant to keep them from influencing or intimidating voters. 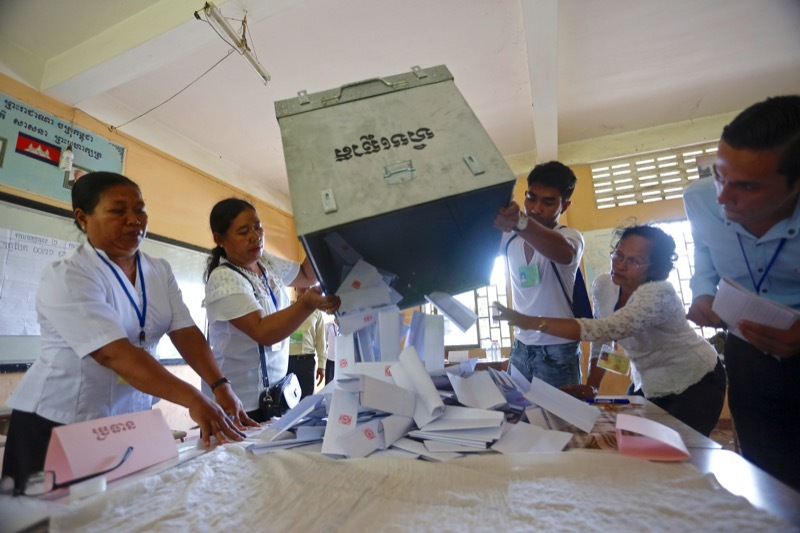 Transparency International Cambodia, which sent out over 1,000 of its own observers to more than 500 polling stations across the country, noticed some of the same irregularities. It said a quarter of the polling stations its observers were at saw unauthorized officials and that 15 percent had one to 10 registered voters with proper IDs who failed to find their names on the voter roll. Even so, Preap Kol, executive director of the anti-corruption group, said the voting process was a significant improvement on the last national election, which were marred by a deeply flawed voter list. “The voting process compared to 2013, it is a lot better,” he said, adding the his group would release a more thorough assessment of Sunday’s voting and vote counting this morning. The Situation Room will be providing a more thorough account of reports from its observers this morning as well. The NEC did not address any of the specific irregularities at its own news conference on Sunday evening.